Get the most out of a great craft beer by toting it in this pressurized one-gallon growler with a self-serve tap. The lightweight, vacuum-insulated container keeps beer cold for 24 hours and keeps it carbonated for several weeks. Tired of hauling ice to a campsite only to watch it melt? 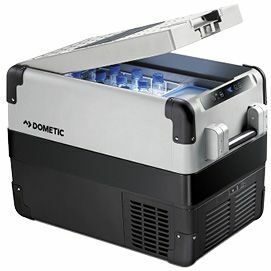 Dometic’s electric cooler can run off a car battery or solar panel, can be split into freezer and refrigerator compartments, and can be monitored and controlled by Wi-Fi. 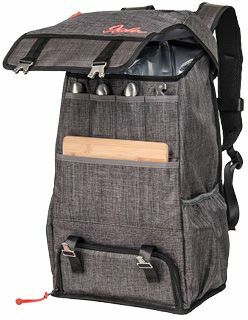 “This grown-up’s wine-and-cheese lunch box is exactly what you need for a concert in the park.” A partition keeps bottles from banging together, and separate pockets come packed with a cutting board, two cheese knives, and a corkscrew. 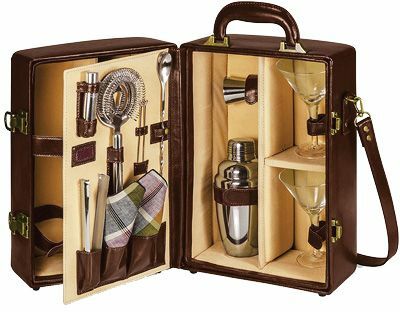 This old-school leatherette case with velveteen lining manages to hold two hand-blown martini glasses, a 16-oz shaker, a strainer, a jigger, tongs, a bar spoon, cotton napkins, and cocktail picks. It also has space for two bottles. 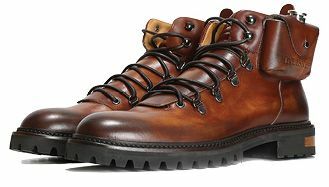 These limited-edition Italian leather boots have a built-in compass on one ankle, plus a side pocket for a 2-oz stainless-steel flask. They’re packed in a solid-oak gift box with a bottle of Talisker’s 10-year-old single-malt scotch.